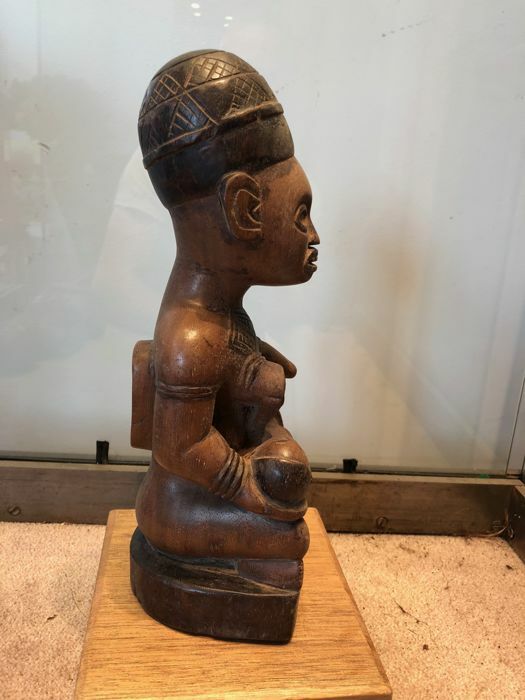 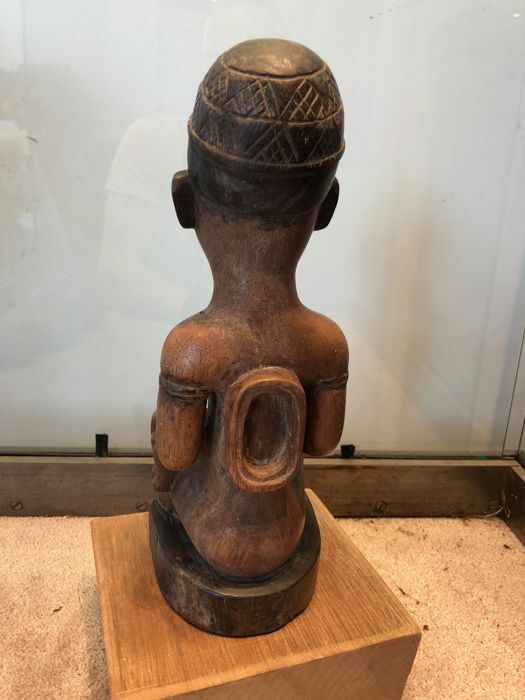 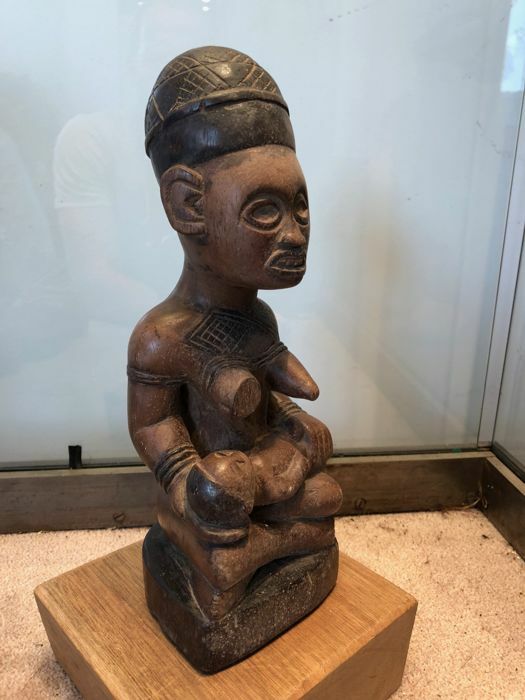 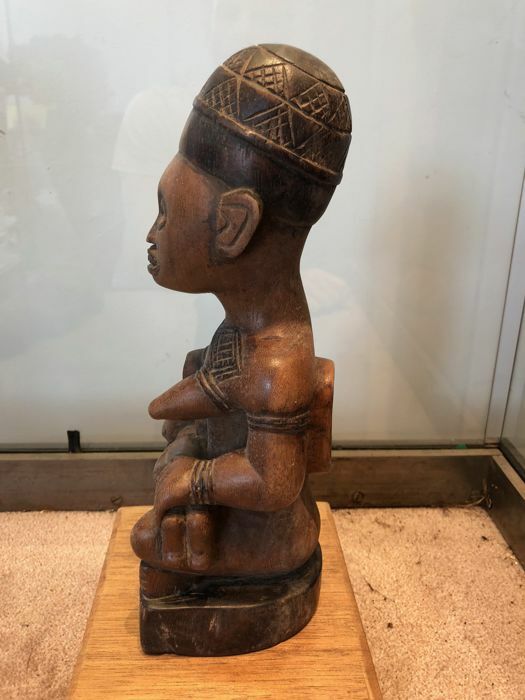 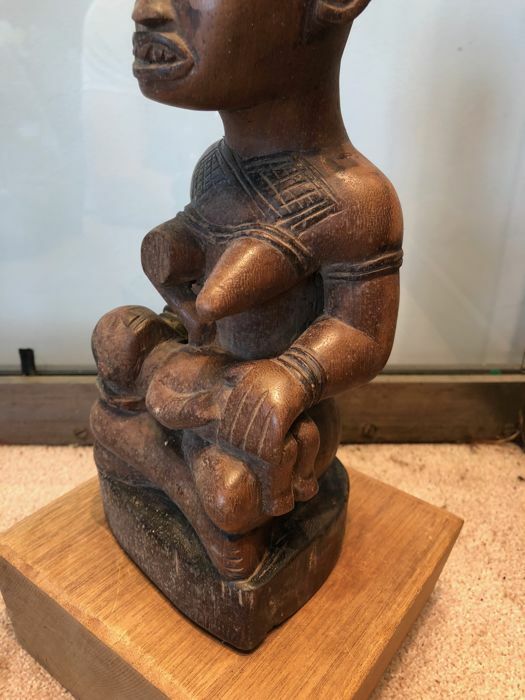 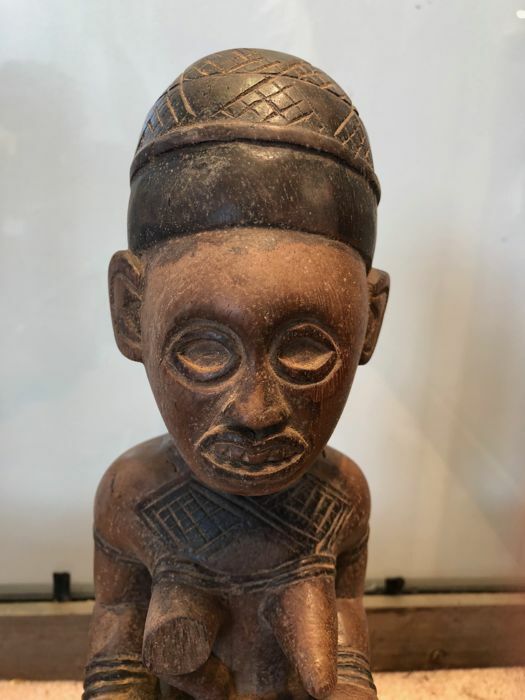 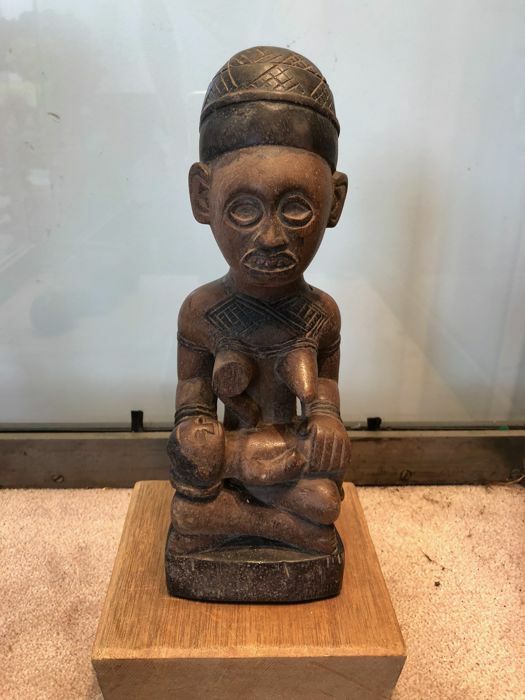 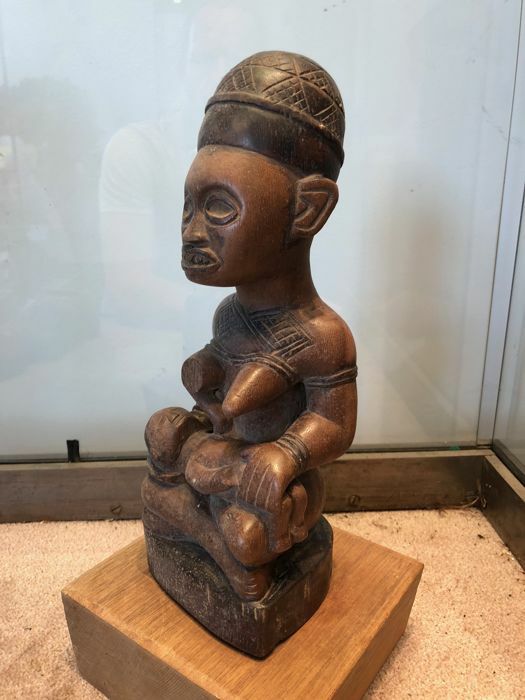 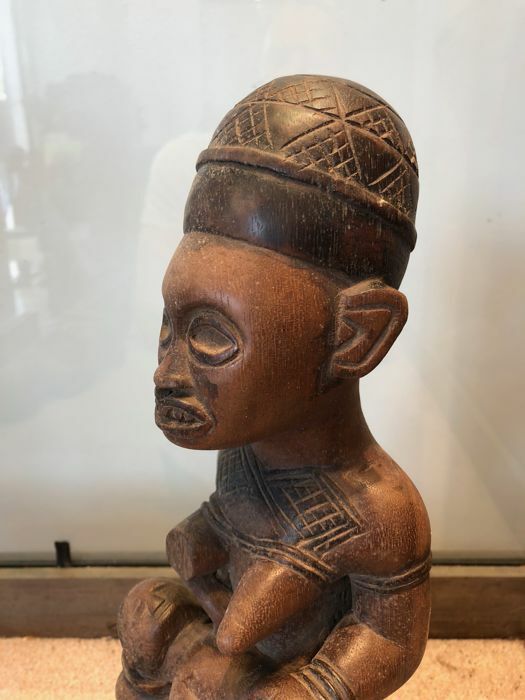 Little ancient figurine in bronze - BAKONGO - Former Belgian Congo. 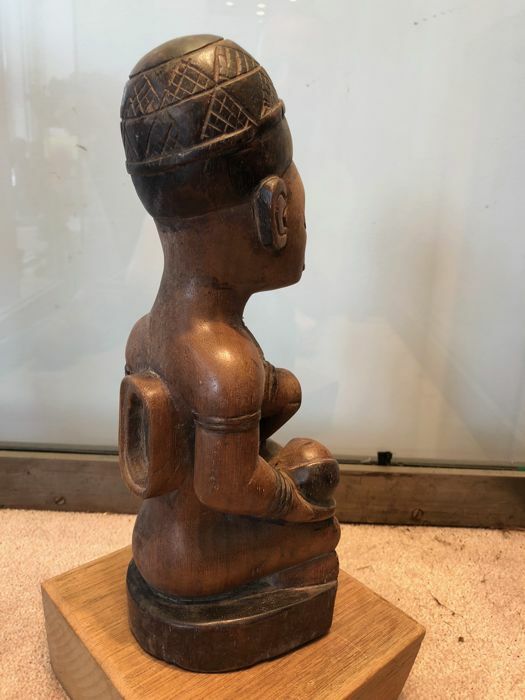 Early 20th century - In Very Good condition. 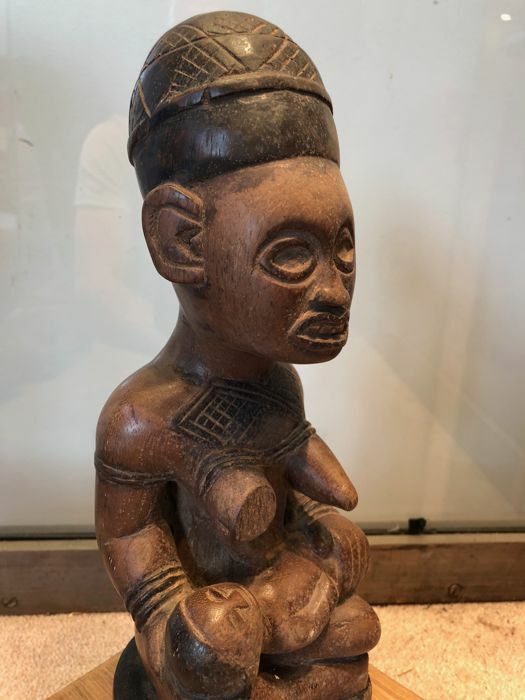 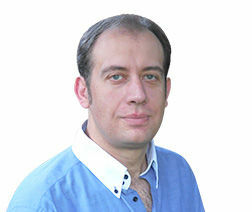 Height: 28 x 8 cm. 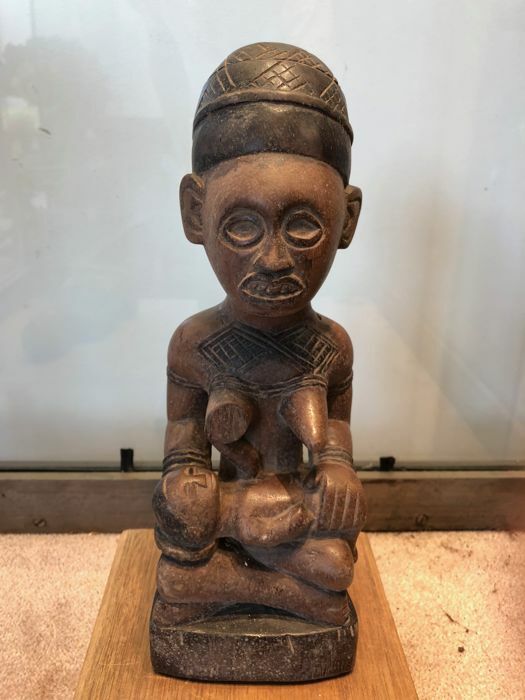 After the independence of Congo in 1960, he was missioned to Rwanda as a chief medical officer for the Belgian government in Kigali. 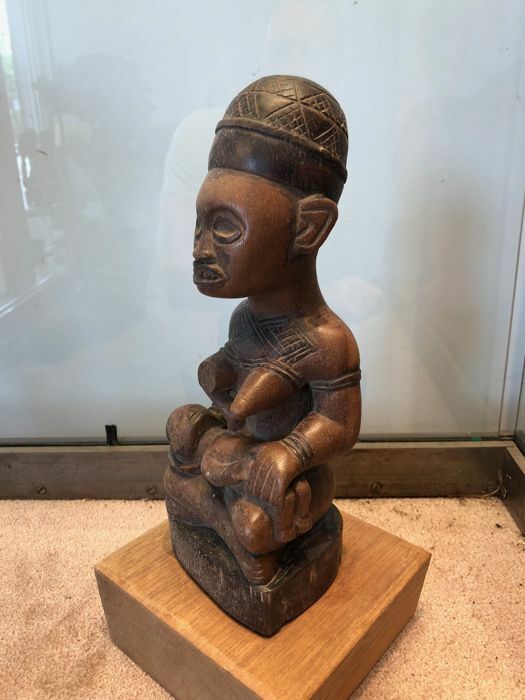 Interested in African art, he has accumulated throughout his career, many pieces from the African continent.